Sweetwater Corporate Campus | MSKTD & Associates, Inc.
Sweetwater is one of the leading e-retailers of musical instruments and equipment in the world. 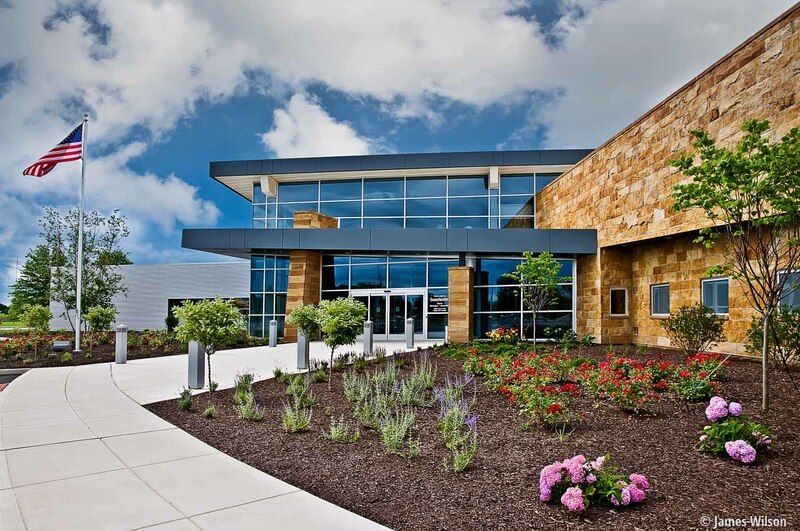 Their 44-acre corporate campus reflects this leadership and commitment to excellence as their headquarters is only the second building in Indiana to achieve LEED Platinum certification, placing the Sweetwater Campus among the nation’s most environmentally friendly. This facility was completed in two phases and is multifaceted and multifunctional. The main entrance is beautiful and inviting, transitioning nicely into the reception area located within the central commons. The commons serves as a connector to all the specialized areas of the structure and provides flow as well as gathering spaces. Enhanced Employee Amenities – Private Health Club, Racquetball Court, Coffee Stations, Indoor Golf, Arcade Arena, Professional Services, etc.